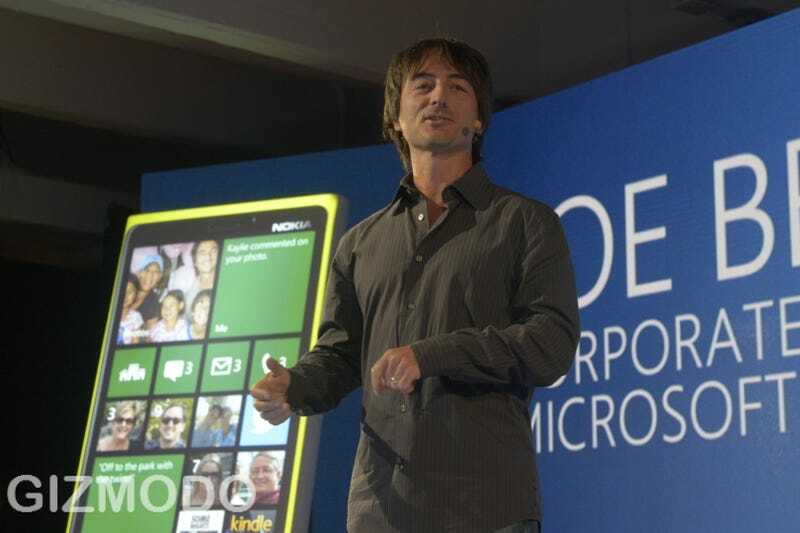 We're also going to hear from Microsoft about the rest of Windows Phone 8. We'll fill you in on everything new Microsoft announces today. Right now, aside from the beautiful new start screen, we mainly have the developer-facing stuff. Things like OTA updates and required firmware support for 18 months. That's nice and all, sure, but we're looking for more of the stuff you're going to be using day-to-day to come out today. Some of the other previously-announced features Microsoft went over today include screenshots, which have been a long time coming! Also, NFC support looks like it's going to be pretty great for sharing photos. We're also seeing some new Lens apps, that show you the live view of your photos in the various lenses—multiple at a time. Pretty cool! You can also use Lens apps like Microsoft's Photosynth, which triggers panorama mode. Third party apps are working "seamlessly" in the camera app, which is pretty great. De-siloing photo apps is a big deal. And obviously it all gets pushed to SkyDrive. The new Blink Lens app is also the "ultimate selfie shot" app. It captures a bunch of photos of your face at once, and you can recompile them into the most flattering version possible.